Canstar’s Online Banking and Mobile Banking Awards use a sophisticated award methodology unique to Canstar that compares the offering of features on both online and mobile banking platforms across Australia. Awards are given to the Bank of the Year and Customer Owned Institution of the Year, which considers mutual banks, credit unions and building societies. The awards aim to recognise institutions that offer quality online and mobile services to further enhance customer experience. 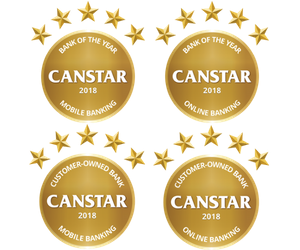 Canstar has revealed the Bank of the Year and Customer Owned Institution of the Year for its Online Banking and Mobile Banking Awards. Read more about the winners here.